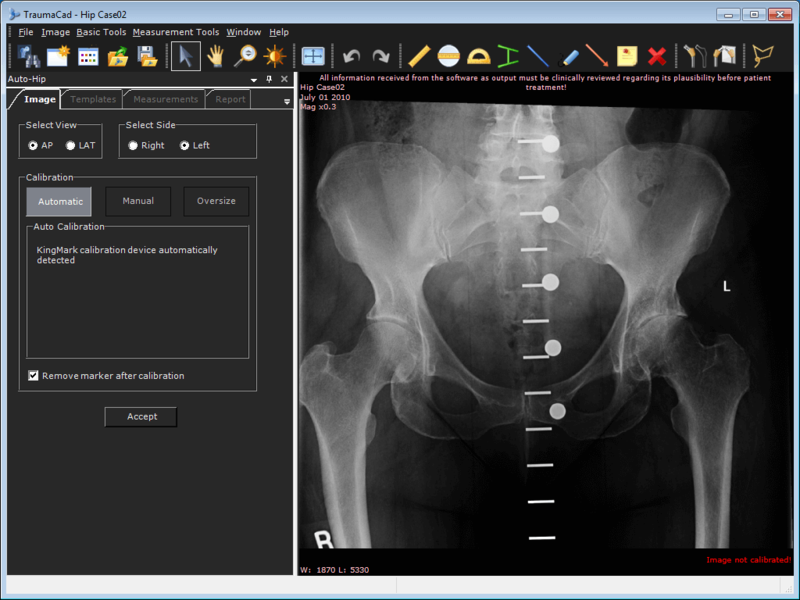 KingMark accurately calibrates AP pelvic images and measures patient anatomy. 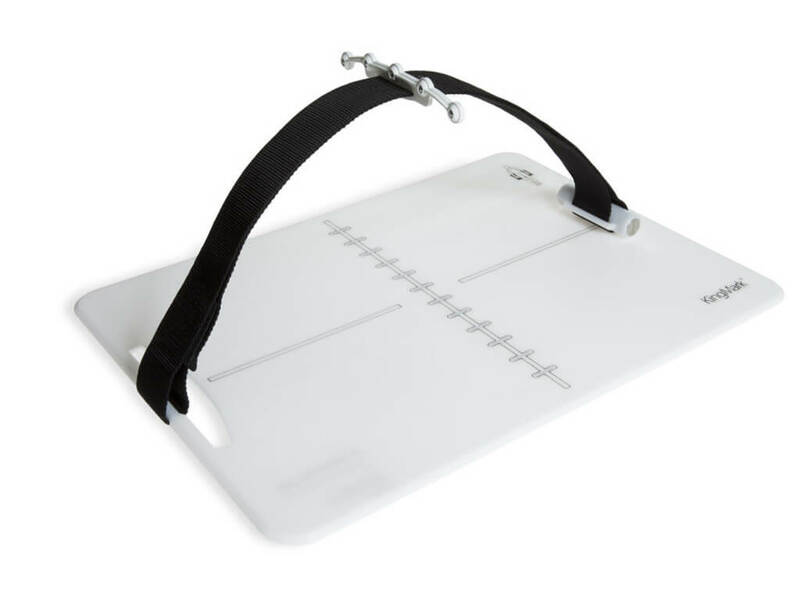 KingMark® is an adjustable, double calibration device for AP pelvic X-Ray images. In clinical trials, KingMark was shown to be superior to the conventional, single-ball marker1. KingMark uses two separate markers—one behind the pelvis and one in front. The posterior marker is a radiolucent pad with steel rods embedded in a vertical row. The anterior marker is a flexible strap with radio-opaque balls secured at regular intervals.